It was almost a year ago when I wrote about my love of Fall apples. 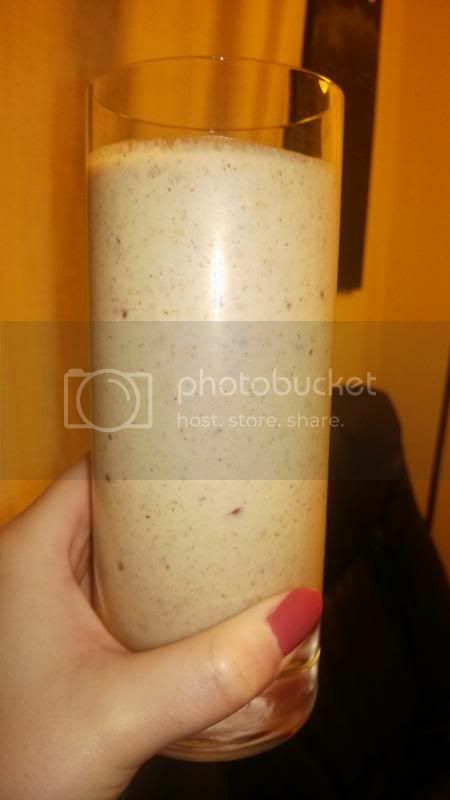 In this post I mentioned an Apple Pie Cheesecake Smoothie and later pinned it on Pinterest. The pin has been shared so many times over the past few days that I've been obsessing over this decadent smoothie recipe. I made it as a healthy dessert tonight after dinner, and now I'm ridiculously full (and satisfied!). You can find the recipe here, but I advise thinning it with a bit more almond milk. So delicious!